Rain came before the checkered flag at the 51st running of the Daytona 500. With 48 laps remaining, the red flag dropped for good, the beneficiary, Matt Kenseth. This is only the 4th time in the history of this storied event for rain to play such a large part in the outcome. 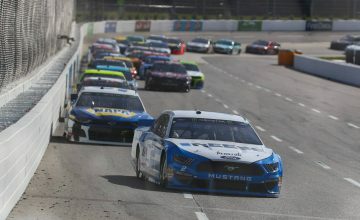 Kenseth managed to only lead one green flag lap during the course of the day, but in the end, it’s the only one that mattered. Not only was thi Kenseth’s first Daytona 500 win, but it was the first 500 win for his car owner Jack Rousch. 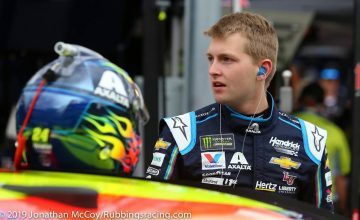 As all manufacturers were well represented, one particular driver didn’t have a stellar day, Dale Earnhardt, Jr. Earnhardt, couldn’t seem to find his bearings at all on the track. First missing his pit all together, then pitting outside of his pit box, causing a one lap black flag penalty. 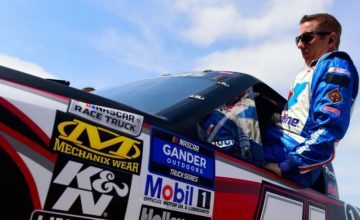 This put Earnhardt and Brian Vickers in a duel for the “Lucky Dog”, which created the misfortune for the one driver who dominated the day by leading 88 of the laps, Kyle Busch. Earnhardt went below the yellow line and came up on Vickers, causing a big pileup, which included Busch, who later said that he had no doubt that they were the car to beat. The top 12 finishers were, Kenseth, Kevin Harvick, A.J. Allmendinger, Clint Bowyer, Elliott Sadler, David Ragan, Michael Waltrip, Tony Stewart, Reed Sorenson, Kurt Busch, Martin Truex, Jr. and David Reutiman. Other notables, Jeff Gordon 13th, Mark Martin 16th, Carl Edwards 18th, Bill Elliott 23, Earnhardt 27th and Jimmie Johnson 31st. The next event is in Fontana, California. Check out “Over The Wall” later this week to listen to our panel discuss the Daytona 500, the impact of the smaller, single-car teams vs. the giants, and preview the California race. Have a great week!